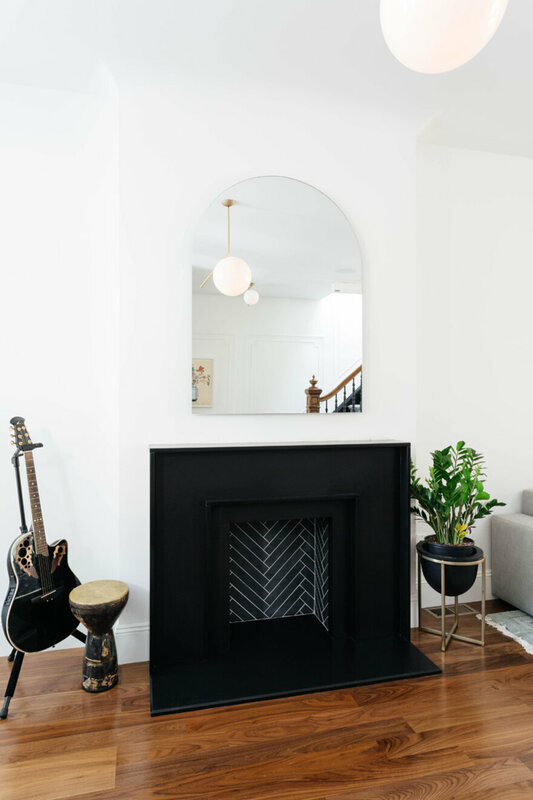 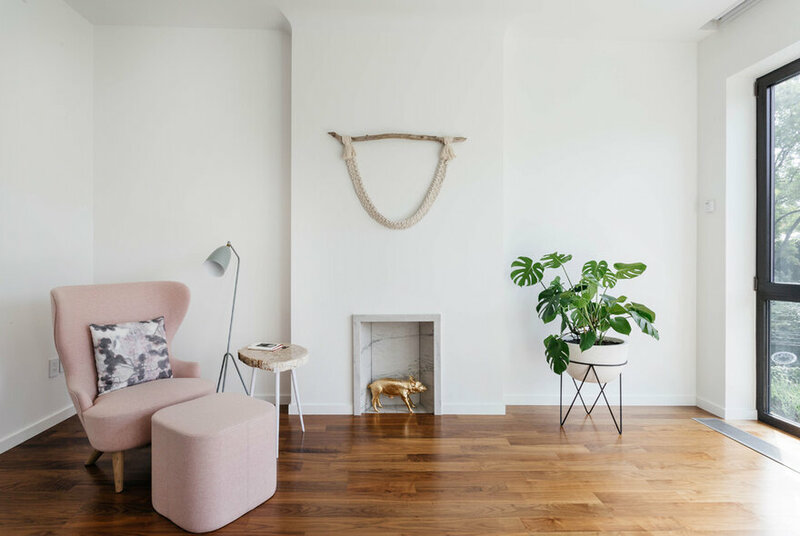 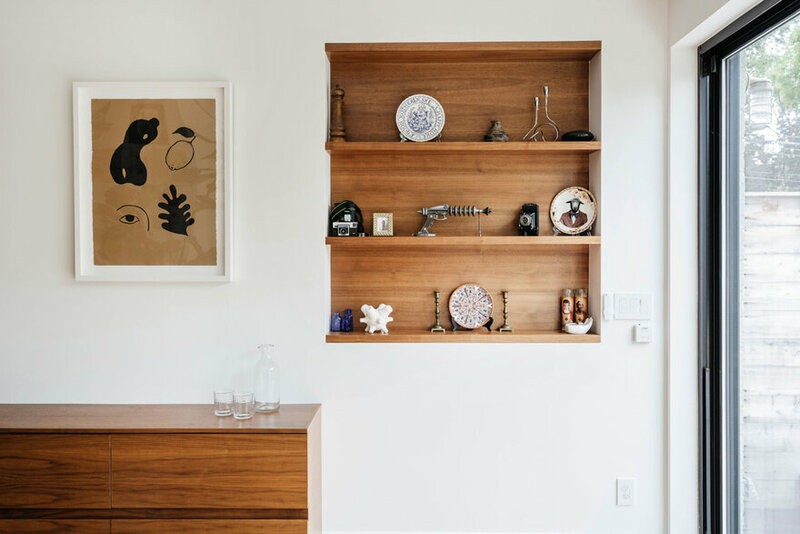 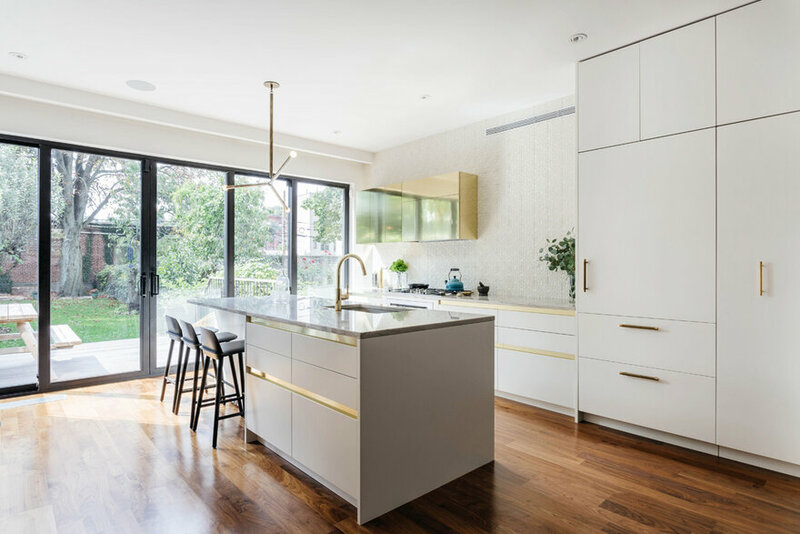 Sunlight floods this South Slope Townhouse following a full gut renovation. 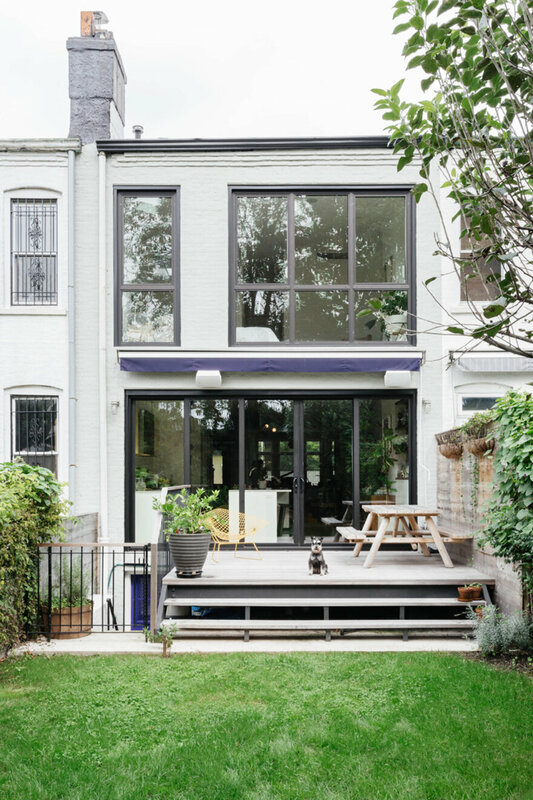 After removing the interior walls on the ground floor, the open living and kitchen areas share a floor-through view from the entrance to the expansive rear yard and deck. 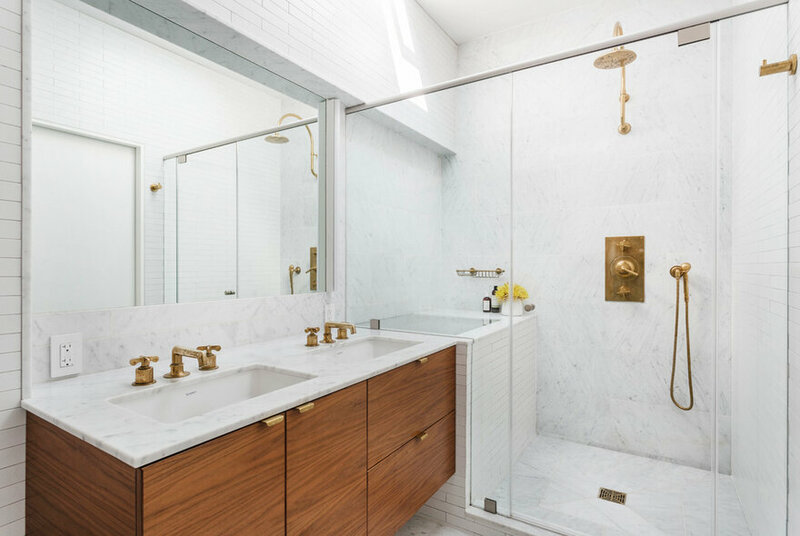 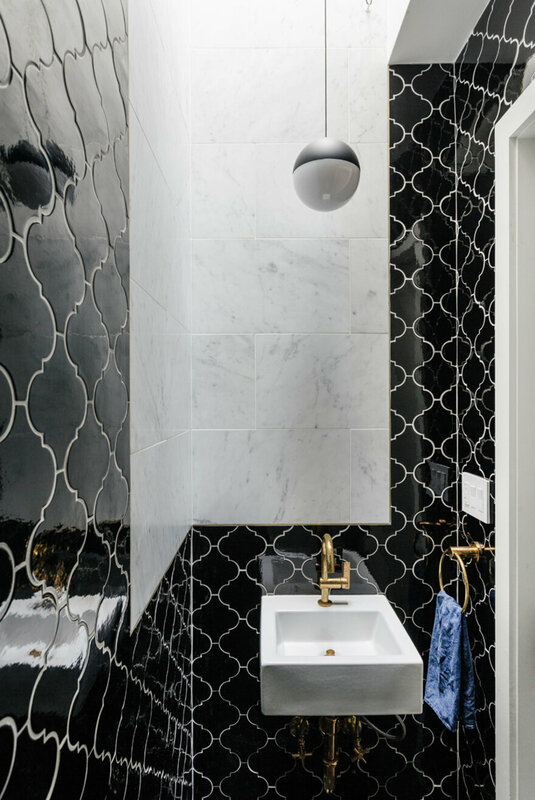 To bring even more light to the ground floor, a skylight shines onto a glass opening in the master bathroom’s shower, daylighting the powder room from above. 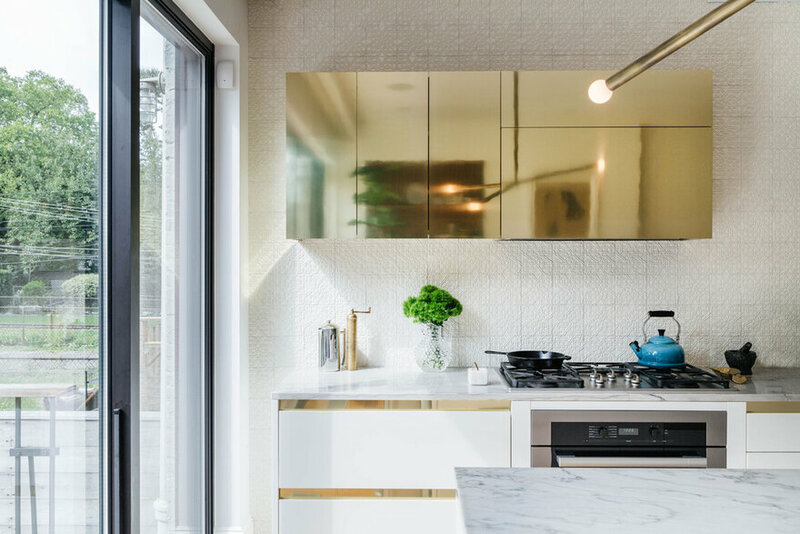 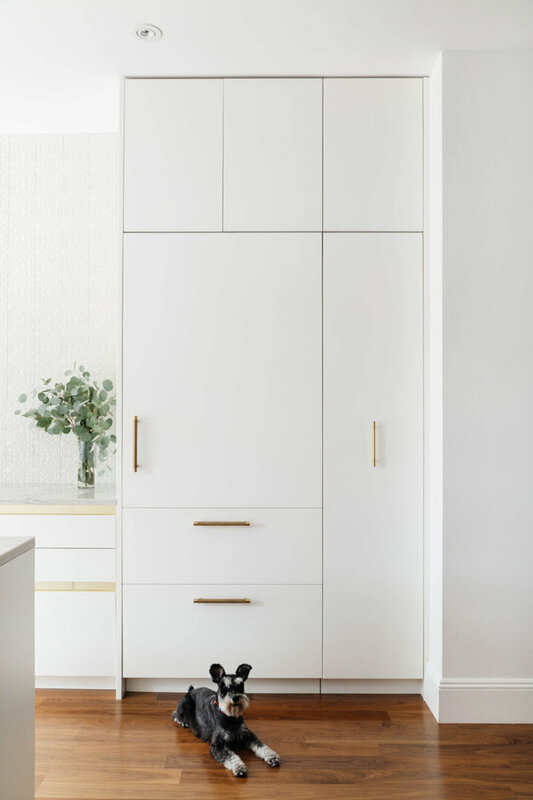 Brass fixtures and details line the sleek, reflective custom kitchen and island. 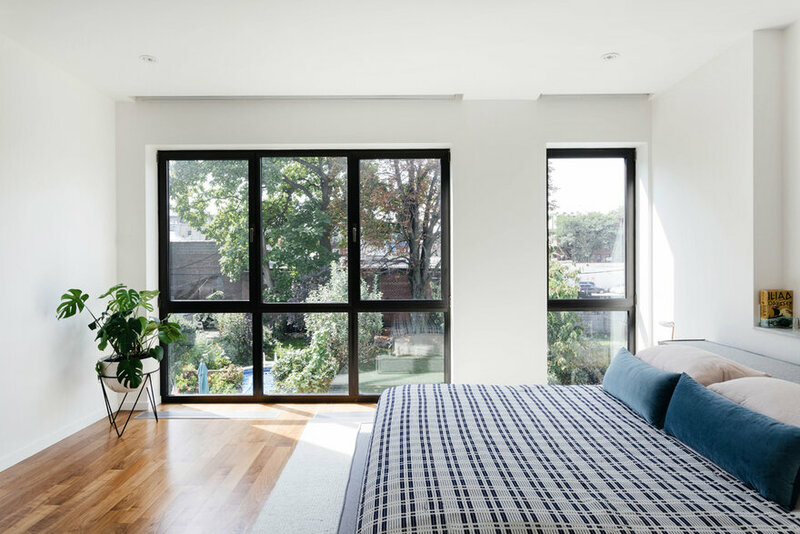 Up the refinished original stair, the master bedroom’s floor-to-ceiling windows bring the outdoors in, as does the master bathroom’s skylight and clerestory. 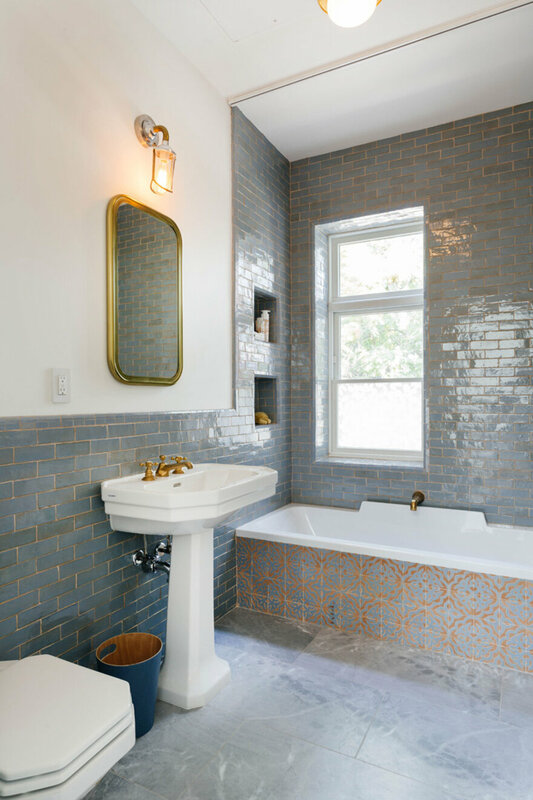 A rich material palette shows up in many of the rooms, including the subtle blue mosaics of the guest bathroom.